Watching and observing Elon Musk function at peak productivity everyday for nearly five years, Peter Carlsson learned how to take control of his own time. Elon Musk is famous for squeezing as much “time” into his day as humanly possible. He’s someone who can, with a straight face, talk of scaling back his workweek to only 80 to 90 hours per week. After taking PayPal public in 2002, Elon Musk built an electric automobile company that’s at present bigger than Ford and General Motors, a rocket company that’s all set to begin its first expedition to Mars, a tunneling company that has already jumpstarted a revolution in public transport, along with gathering an army of geniuses to lead two of the most futuristic initiatives at the bleeding edge of Artificial Intelligence. And these are only a handful of the many ground-breaking efforts that consume his time. What’s astonishing is that he accomplished all of this in less than 15 years. Indeed, at the centre of Musk’s accomplishments is his mastery over the relationship between time and productivity — after crunching some numbers, Wired Magazine concluded that Musk accomplishes in a year what it would take Amazon, Uber and Google to accomplish in eight years. “My performance review with Elon Musk took five minutes and, in response to the question of what I could improve, he thought I could talk a bit faster,” says Peter Carlsson. As Tesla’s head of sourcing and supply chain, Peter Carlsson (pictured right) worked side-by-side with Elon Musk over the course of four-and-a-half years. As Tesla’s head of sourcing and supply chain, Carlsson worked side-by-side with Musk over the course of four-and-a-half years and, one could argue, acquired the maverick mindset that it takes to survive (and thrive) at one of the world’s most demanding companies. 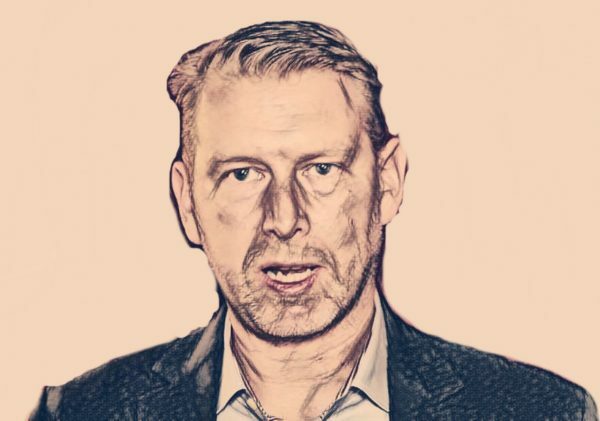 Carlsson was the global head of sourcing and supply chain at Tesla from 2011 to 2015. “The first 18 months was probably the most brutal in my career; we were burning a hundred million dollars per quarter,” said Carlsson. Carlsson, a native of Sweden, began his career at Sony Ericsson. Later, he relocated to Singapore to become the purchasing and outsourcing manager for NXP Semiconductors. By 2011, Carlsson had built a reputation for deeply understanding the inner workings of successful large-scale manufacturing companies, how the pieces must fit together and flow in order to create a coherent, operating vision. When he moved to Palo Alto, California that year, he was in talks with Apple to become a senior player in its iPad division; that’s when a recruiter from Tesla reached out to him. Carlsson had a 90 minute meeting with Musk himself. At Tesla, Carlsson helped launch the Model S, managing a supply chain that extended beyond 300 suppliers and turned a negative gross margin into a 28% surplus in less than 12 months. During his time there, Tesla’s team grew from 400 to over 16,000. 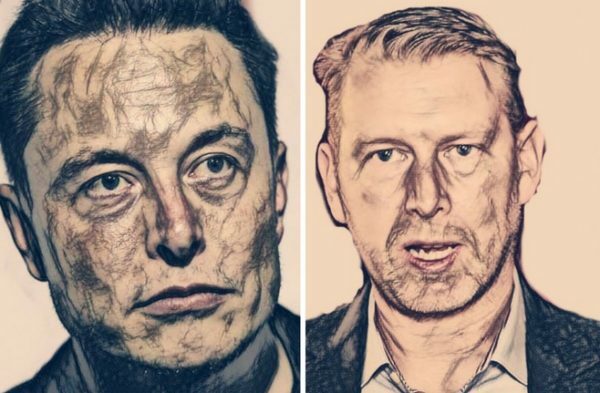 Working side-by-side with Musk who’s known to set impossible targets for himself and his team, Carlsson became accustomed to the enigmatic founder’s way of doing things. Eventually, he felt the need to move on, to take charge of his time. At Tesla, Peter Carlsson helped launch the Model S, managing a supply chain that extended beyond 300 suppliers and turned a negative gross margin into a 28% surplus in less than 12 months. After Tesla, Carlsson has branched out to — much like Musk — bring his highly specific skills and knowledge to a diverse variety of business ventures. One of his primary ventures now is teaming up with another Tesla alumni, Paolo Cerruti, to launch Northvolt. Based in his native Sweden, with Carlsson as CEO, it plans on building the largest lithium-ion battery factory in Europe. Currently, Asia and the United States are the leaders in battery production. But like Musk’s startups, Carlsson’s vision is imbued with both deep ambition and an overriding mission to help humanity manage the transition away from an energy infrastructure dependent on fossil fuels. “If nobody does anything, Europe is going to be completely dependent on an Asian supply chain. Europe has the opportunity to act for its own energy independence. It’s now or never,” Carlsson said in an interview with The Financial Times. Procurify is the go-to spend management solution for Clearpath Robotics — a leading producer of autonomous vehicles. Procurify is helping hundreds of companies improve their bottom lines by giving them complete visibility and control over their spend. Book Your Free Consultation Today. Get weekly content delivered every Friday straight to your inbox. No spam, just content. There has always been the schooling that we must set ” realistic, attainable goals”. I love this ” seemingly impossible targets’ new thinking..